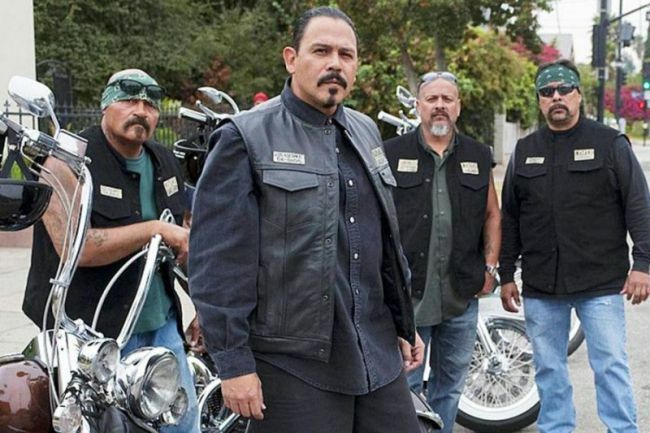 Sons Of Anarchy spinoff show Mayans MC has a release date. Ever since SAMCRO rode off into the sunset back in 2014, fans of the series have been clamouring for some kind of show to fill the void. The announcement of a spin-off series was made back in January and had fans salivating at the mouth at the prospect of another wild trip on the open road, this time with the Mayan MC charter. You can finally catch the new gang on 4 September on FX, according to Deadline. The trailer, released earlier this year, sees the crew of the infamous Mayans MC, a rival biker gang to SAMCRO in the original series, blazing down a desert highway, set to a Spanish cover of the Rolling Stones’ Paint It Black. The new 10-episode spin-off will be set in a post-Jax Teller world, where we follow the story of EZ Reyes – a former golden boy now fresh out of prison. As a prospect in the Mayan MC charter on the California-Mexico border, he’ll carve out his new outlaw identity. The spin-off series, which is the brain-child of SOA creator Kurt Sutter, and writer Elgin James, will premiere first in the States on FX – and takes place on the 10th anniversary of the original series. Furthermore, the hotly anticipated Mayans MC isn’t the only show from the SOA world heading to our screens, as both an official sequel and prequel projects have been given the green light too. During an interview on the Tom Arnold podcast 100% Honest… Pretty Much, Sutter revealed the series is envisioned as one of four chapters. The prequel and sequel projects will focus on – SPOILER ALERT – Jax’s family and after his death. We’re going to play the reality of that last day and the events that happened with who he [Jax] killed that day and the impact and perhaps the trickle down that may have had on Northern Cali. You can catch Mayans MC 4 September on FX.